Magical sunset in Miyajima. One of my last stops in Japan, this was certainly one of the most magical places I visited. 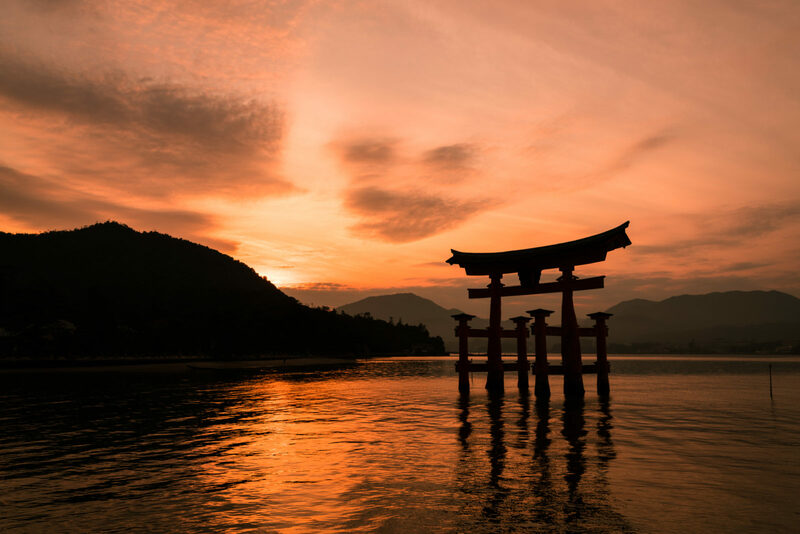 Being century's old and still standing, surviving to all of nature's power, the Itsukushima shrine just blends in with the landscape so well while bringing out all of the spirituality of Japan's culture.